After the inaugural clash between the Santiago Saints and Bogota Bulldogs held in Colombia last September, the teams have been itching for another chance to clash. Last time, playing in The Andes Cup, it was the new kids on the block, the Bogota Bulldogs, that took the honours, downing the Santiago Saints by 46 points. See story Bogotá Bulldogs Down Santiago Saints In Colombia. On July 22nd the second instalment of this South American footy rivalry gets under way when the Chilean based Saints host the Bulldogs. It will be an enormous boost to the game in Chile. 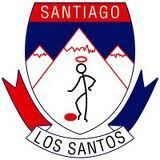 The Santiago Saints have lived in a semi-hiatus for many years, unable to play much more than internal scratch matches due to the lack of another team on the continent. 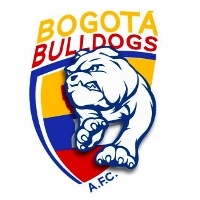 However, the creation of the Bogota Bulldogs in Colombia sees a permanent playing option. The Saints can promote the game heavily and hope to attract new players and supporters and maybe even attract interested kids to come along and grow a footy culture for the future. Already the rivalry is developing. The Bulldogs are determined to head south to Santiago and retain the honours they gained last year. For the Saints, they are keen on revenge, especially in front of their home crowd. They will be playing out of their skins to claim a victory, especially after years of waiting for such opportunities. Earlier this year, the Saints put out the invitation for clubs from across the world – particularly North America and Europe – to consider visiting Chile for pre-season matches or just social events. See story South American Football On The March This match will certainly add to the attraction for potential visiting clubs, as well as attracting more local interest and give rise to another national team – perhaps Brazil, Argentina…? The possibilities are exciting.